1. 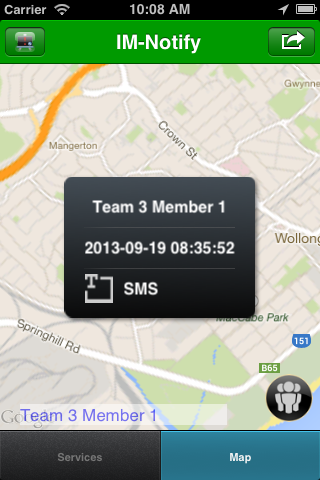 Map Details View: Tapping this button activates details panel from which you can track other agents. 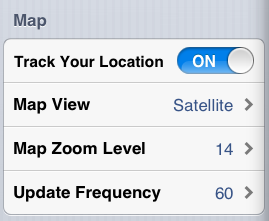 By default tracking is set to self. Notice the green text saying, Team 3 Member 1. This indicates that you’re using the Team 3 Member 1 profile and you’re online. When offline, the color of the text changes to red. Also notice the blue icon next the text. Blue icon means you’re online or other agents are online. See bottom of this page on what different icons mean. 2. Settings button: Activates the settings panel. 3. 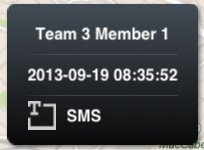 Selected Agent: Notice the blue text saying, Team 3 Member 1. This is the name of currently selected agent. 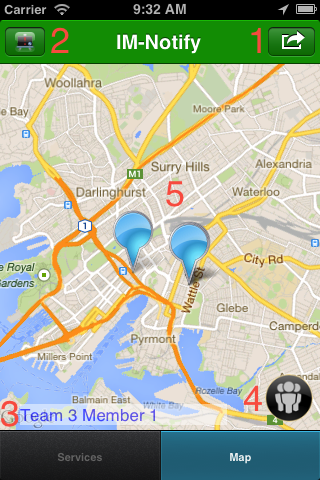 To select other agents, just activate the map details view and tap on the items listed. Check out the video below to track different agents. 4. 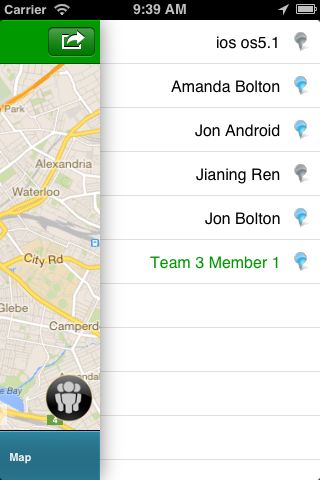 Team mode button: When activated, all the agents on the map are grouped onto a broad view. Check out the video below on how it works. 5. Agent Markers: You can tap on the agent markers to get more information on them. The following video shows how to interact with agent markers.